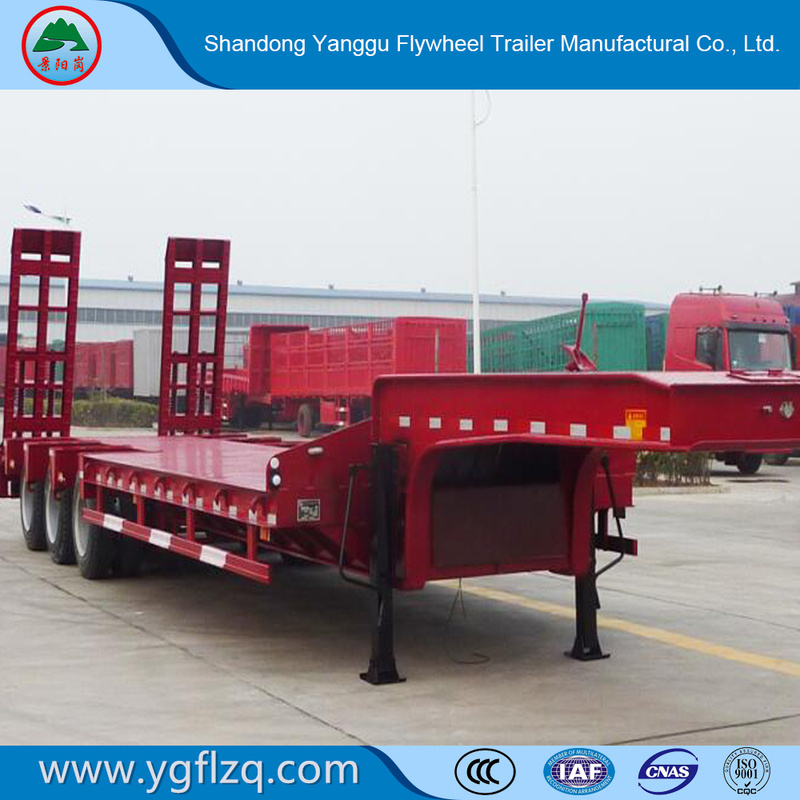 Shandong Yanggu Flywheel Trailer Manufactural Co., Ltd.
Main beam Height: 450mm-520mm, upper plate thickness is 14mm-25mm, middle plate thickness is 8mm-12mm, down plate thickness is 16mm-25mm; Material is Q345 Carbon Steel. Painting Complete Chassis sand blasting to clean rust, 1coat of anticorrosive prime, 2coats of final paints. ·Near20 years professional design and production experience. ·Choose Regular manufacturers purchase materials,like Q235 baoshan. ·Use Domestic first-class production equipment. 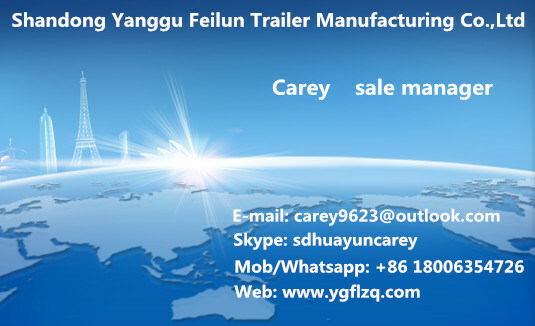 ·Famouse brand trailer parts used,likebpw/fuwaaxle,triangle/double star/double coinand so on tires,API VALVES. 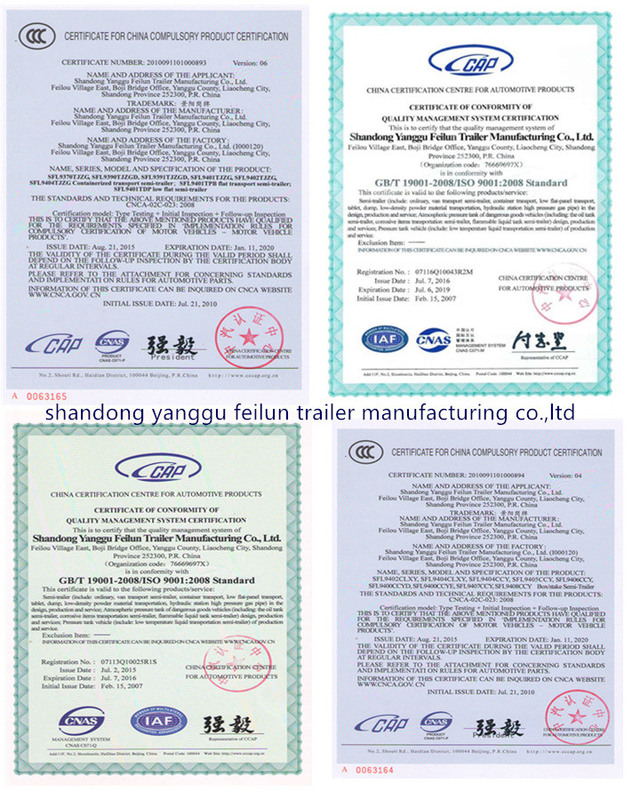 ·Strict quality control system ensure that each semi trailer is qualified. Wax spray and one stack of 3sets to reduce shipping fee. 1. Shandong yangu flywheel trailer manufacturing co.,Ltd is located in yanggu county shandong province, the company is newly established in 2004 year. Good industial atmosphere provides the condition to produce the high quality products. The company is commited to provide high-quality special loading truck trailer and tank for auto refitting enterprises. 2. The company have passed ISO9001 the international quality managerment sytem certification and formed acomplete quality assurance system. It processes strict quality assurance in product design, procurement of raw materials, component parts into the plant, manufacturing testing, site installation and commissioning and after- sales service. 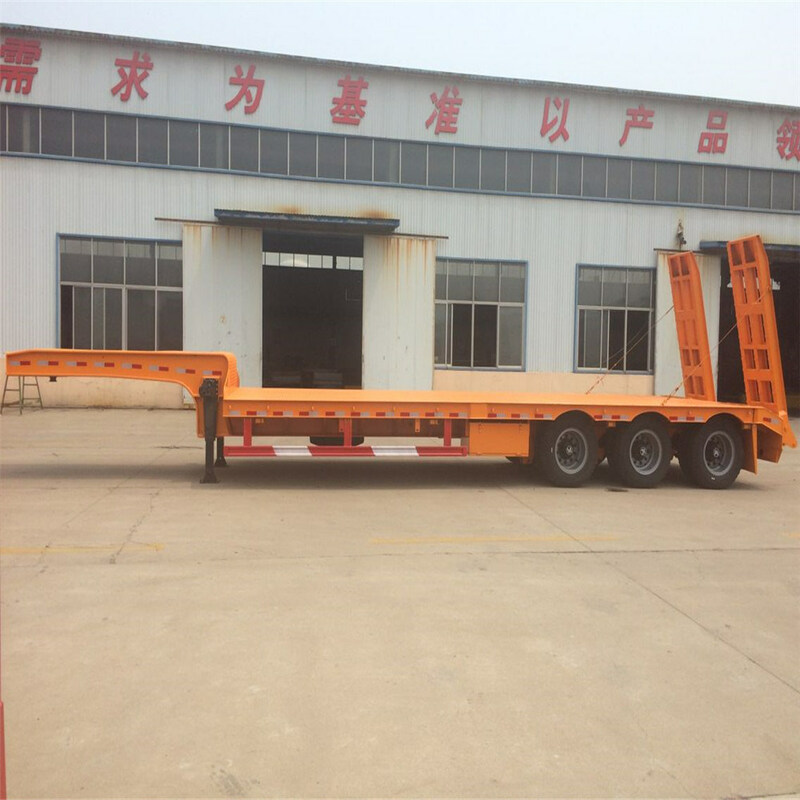 1.based on the customer's country roads situation, transport goods and loading weight requirment,provide semi-trailer solution. 2. Have Experienced sales and engineer support every requirment. 3. Customer's design is available for certain products(OEM). 4. Spare parts for all types of semi-trailer with discount price. 5. Offerfree spare partsfor every customer. 1.Does your company is afactory or trade company? We have afactory ourself,we are on this Business for few years in China. Our factory is very famous in the Shandong China. 2. Whats the qualify assurance we provided and how do we control quality? Established aprocedure to check products at all stages of the manufacturing process,raw materials,process materials,validated or tested materials finished goods ect. Beside,we have also developed aprocedure which identifies the inspection and test status of all items at all stages of the manufacturing process. One unit trailer or truck. 4. How do you transport the Semi Trailers and trucks? We transport the vehicle by bulk or container. Our factory possess long -term cooperation with ship agency which can provide you lowest shipping fee. 5. Can you satisfy my special requirement? You can add my skype or whatsapp for our easy chat! 10. Welcome your inquiry and visit our factory. 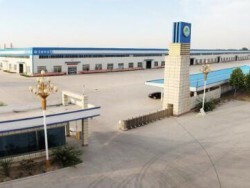 Shandong Yanggu Flywheel Trailer Manufactural Co., Ltd located in yanggu county shandong province, established at 2004 and announced by national ministry of industry and information, covering an area of about 400 acres, more than 500 employees and annual output value can reach 100 million dollars. Since company was established, always adhere to the talent for this, the principle of sincerity, gathers together the industry elite, build a strong team and use the foreign advanced information technology, management methods and business experience, help enterprises to improve management level and production capacity, make the enterprise always remain competition in the competitive market, to reach the company fast and steady development. The company have passed ISO9001 the international quality managerment system certification and formed a complete quality assurance system. It processes strict quality assurance in product design, procurement of raw materials, component parts into the plant, manufacturing testing, site installation and commissioning and after- sales service. Shandong Yanggu Flywheel Trailer Manufactural Co., Ltd is an innovative enterprises and good at produce A2, C2 degree pressure vessel, container transport semi trailer, side wall semi trailer, stake semi trailer, tank semi trailer, bulk cement tank semi trailer, flatbed semi trailer, low bed semi trailer and special vehicle. Good industrial atmosphere provides the condition to produce the high quality products. 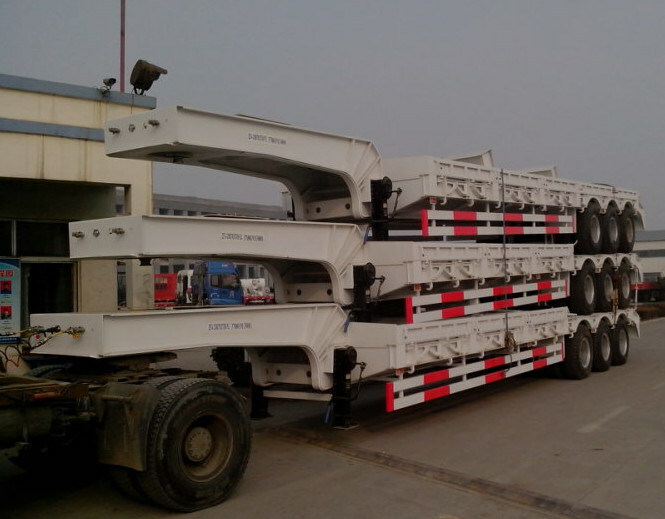 The company is committed to provide high-quality special loading truck trailer and tank for logistic enterprises. We will be focus on customer, market-oriented and follow the "high-quality, best service" concept, take enterprise development and progress for a vision to ensure a high level of design, high quality of manufacturing, provides timely, efficient, professional service. It efforts to achieve win-win with our customers.